Notwithstanding his fine credits up to that point, Shatkin has now broken through to a new level as a top songwriter & producer who has played a major role in one of the biggest hits of the past year: “Chandelier” by Sia. Shatkin co-wrote this acclaimed song with Sia, and produced it with hitmaker Greg Kurstin. “Chandelier” has become a worldwide hit in over 20 countries, and Shatkin was recently nominated for Grammy awards in the prestigious Song of the Year and Record of the Year categories. Shatkin is now an in-demand writer & producer who has been working with Kelly Clarkson, Kylie Minogue, Cheryl Cole and several other artists such as rock band Milo Greene, pop artist Eden xo, indie dance duo Matt and Kim, and U.K. band Hurts. He has also signed a co-publishing deal with Sony/ATV Music and is managed by Rachel Kurstin. Shatkin is based in Los Angeles and grew up there. However, he also spent 10 years living in New York City, attending college at New York University (N.Y.U.) and working at famed Electric Lady Studios as an intern and later as assistant engineer. 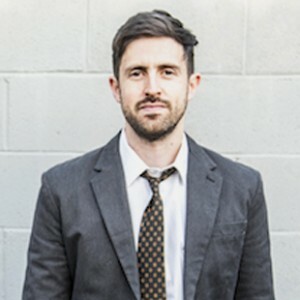 He collaborated with several hip-hop artists including Jean Grae, Murs and El-P.
An important career moment came when Shatkin moved back to Los Angeles and began working as recording engineer for hit writer/producer Greg Kurstin. He worked alongside Kurstin for four years, engineering songs on hit albums by Kelly Clarkson (Stronger and Wrapped in Red), Katy Perry (Prism), Selena Gomez (When the Sun Goes Down), Pink (The Truth About Love), Foster The People (Torches), the Shins (Point of Morrow) and others. 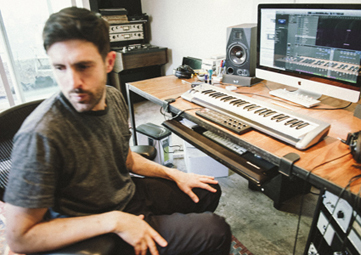 During the past year-and-a-half, Shatkin has focused on his songwriting & producing and works out of his own studio. 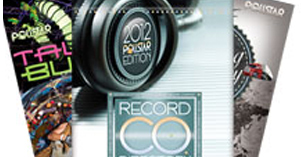 He writes regularly with Sia, MoZella, Fran Hall, Amanda Warner of EMD group MNDR, Dan Nigro, Sean Foreman and others. We are pleased to do this Q&A interview with Jesse Shatkin. He tells how he got started, his studio work with Greg Kurstin, and his fast-rising career as a Grammy-nominated songwriter & producer. DK: How did you get started in the music business? I read that you started doing hip-hop early on. Jesse Shatkin at his recording studio. Shatkin: I grew up in West Los Angeles, and I got started more as a DJ. I was in high school with a bunch of rappers and I started making beats for them. Being a DJ seemed like fun—I was into hip-hop. I got turntables and started doing parties in junior and senior high school. Creating beats was the next logical step. I got a 4-track (recorder) and a sampler. I was making loops and doing rap songs with my friends. DK: When did you move to New York? Shatkin: I moved to New York to go to N.Y.U. One of the reasons I wanted to go to New York was because it was the center of hip-hop. While I was there I started working at studios. I wanted to be where the music was being made and learn about being a producer. I learned about mixing. I worked at Electric Lady Studios in New York, first as an intern and later as an assistant engineer. There was a golden era, with Erykah Badu, the Roots, D’Angelo and other amazing artists recording there. DK: When did you start writing songs? Is your specialty working on the beats? Shatkin: I’ve been writing songs all along. Early on, making beats didn’t register to me as songwriting, but I did the music and a rapper would rap on it. I started doing music for commercials and writing for music catalogs, commercials and movie trailers. I focused more on writing the chords, in addition to making beats. DK: When did you start working with Greg Kurstin? Shatkin: It was around 2008—I had been in New York for 10 years. Working with Greg was when it all came together for me. I met Greg via a mutual friend (artist manager) Kevin Kusatsu. Greg was getting busier and needed help. I was into Greg’s work and I knew it would be a great place for me to learn. I moved back to L.A., and it turned out to be a great situation. While I was there it all came together—learning about chord progressions, songwriting, sounds, musicianship and producing. I watched Greg and would see the whole creative process in the studio. I was his engineer for four years. DK: When did you decide to go on your own, as a writer/producer? Shatkin: At a certain point I felt like I reached my capacity for learning without doing it myself. I was ambitious and anxious to put the things I learned into use. I had a discussion with Greg, and he felt I was ready to get started on my own as a writer & producer. DK: How long have you been working on your own? which was co-written & produced by Jesse Shatkin. Shatkin: It’s been a year-and-a-half since I worked fulltime with Greg. I have my own studio which I work out of. I went on my own and started doing a ton of songwriting sessions. Writing songs every day, then producing and pitching these songs was something new for me. Things got busy very quickly. I’ve had the opportunity to work with a lot of great songwriters in L.A. Also, Greg would continue to give me great feedback. I signed a publishing deal with Greg and Rachel (Kurstin), who is my manager, and with Sony/ATV. Rachel would set me up on writing sessions, and Amanda Berman (Vice President of A&R) at Sony/ATV also set me up with co-writes. DK: How did you get together with Sia? Shatkin: I started a writing relationship with Sia—the first song we wrote was “Chandelier”! We became friends and we like writing together—she’s an amazing songwriter. We wrote “Chandelier” when we had some downtime during a session with Greg. I was engineering part of Sia’s album. We went to the live room (in the studio) which has a drum kit and piano. Sia sat at the piano and I played the marimba. We found some chord progressions that we liked. She was singing over them and recording onto her iPhone. I fleshed it out by creating the track, and she nailed the melody and the lyrics. When we first wrote the song, we thought that we might want to pitch it to other artists, but Sia decided to record it for her own album. She realized the lyric was telling a story that was close to her. DK: When you wrote “Chandelier,” did you think it would become a hit? Shatkin: When we finished the song, everyone was excited about it. I knew that it could be capable of being a hit. But for me, I had been involved in making music for 20 years, and I’d experienced years and years of rejection. So I learned not to get too excited about things. Still, when “Chandelier” was released as a single, I was overjoyed every step of the way, although I still was skeptical about how high it would go on the charts, or whether it would go platinum, or (more recently) whether it would be nominated for a Grammy. DK: Have you been working on other songs with Sia? Shatkin: The Sia connection has gone really well. It led to me working with Sia on Kylie Minogue’s album Kiss Me Once. I’m continuing to work with her—she sends me ideas and I help her flesh out certain tracks for her. It remains fun and exciting. DK: Who are some of the other writers you’ve been collaborating with? Shatkin: I wrote with Matt Morris and Fran Hall a song called “Waiting for Lightning” which Cheryl Cole recorded. Fran Hall is an amazing writer—we work together a lot. I also like writing with MoZella—she has great ideas and lyrics. I also write with Amanda Warner (of the group MNDR), and with Dan Nigro and Sean Foreman. DK: Which instrument do you like to write on? Shatkin: Piano is the instrument that I write on. I can figure out the chord progressions and I can write melodies on it. I’ve become a better keyboard player. I also play bass on the keyboard. DK: I heard that you were working with Kelly Clarkson on her next album. Is that true? Shatkin: Yes. I’ve known Kelly for a few years, since I was an engineer for her Stronger album, and her Christmas album Wrapped in Red. I would send songs to Kelly. Luckily she liked a couple of these. It looks like I will have two or three songs on her next album, which she helped co-write. I did the production too. It’s so fun to comp her vocals in the studio, because she’s such a great singer. You can get an amazing performance. DK: Are there other artists that you’re working with? Shatkin: I produced a rock band called Milo Greene (on Elektra/Atlantic Records). It was challenging and fun. I also worked with (indie dance duo) Matt and Kim, Eden xo (on Virgin Records), Indiana (pop female artist) from the U.K., and I produced a band called Hurts from the U.K. I love being in the studio with all these artists, whether it’s co-writing & producing, or just producing. It can be a great process, from beginning to the final mix. For Sia’s album it was insane fun, watching two geniuses in the studio: Sia and Greg (Kurstin). I also love hearing amazing singers in the studio. Being in the studio and recording such great singers as Kelly Clarkson, James Mercer (of the Shins) and others, is a thrill.